COSMOS is an electronic document management system used at the United Nations Department of Peacekeeping Operations in the NY Headquarters and in the Peacekeeping Missions. 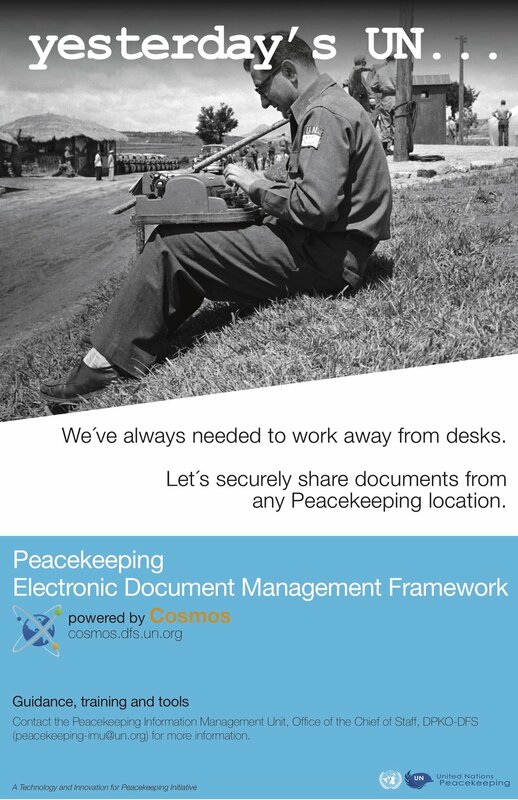 During my Internship in the UN DPKO Department, I worked on developing a detailed and enriched preparation on how to use COSMOS as a new secure platform for document management. As part of this, I worked creating graphic and video pieces to promote the use and importance of this system, especially in the remote Peacekeeping Missions. At the same time, I worked on the first drafts of how to deliver the content of the training.